Operation Renewed Hope Foundation is pleased to mark its fifth year of working to end Veteran homelessness with an awards ceremony at the Belle Haven Country Club. 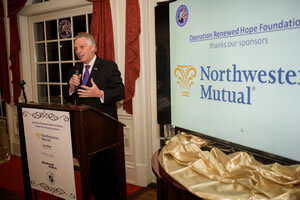 The Northwestern Mutual Award for Improving the Lives of Veteran Families went to the 72nd Governor of Virginia, Governor Terry McAuliffe for his incredible support of Veterans and his work on expanding affordable housing. 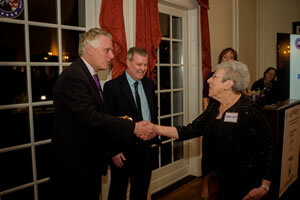 Governor McAuliffe is a member of our Advisory Board. 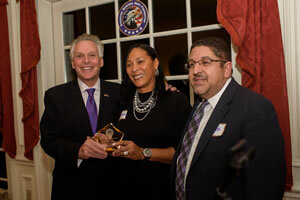 The NuWave Solutions Selfless Service Award went Marian Chirichella for her work as an Angel of Mercy, providing meals, blankets, computers, even educational opportunities, to our nation’s Veterans. The Belle Haven Patriot Award for Giving Back went to Dr. Jon Williams who has provided pro bono dental services. The ORHF Pay It Forward Award was presented to Mark “Ranger” Jones for his help renovating a home for a Veteran family and his continued significant impact to the Military and Veteran community. Photos courtesy of Matt Mendelsohn Photography.